It’s been a blue moon since I’ve checked in with you on what you guys are making, and I think it’s time for me to change that! My friend Jenny just finished this darling little baby sweater! (We picked out the buttons together when we visited Bainbridge Island last month.) It’s a fantastic Halloween-y mix of purple green and black, with tiny silvery-gray mother-of-pearl buttons. Adorable, right? I’m so glad Jenny sent me a picture of the finished project, because her visit to Seattle ended before she got to finish the sweater. 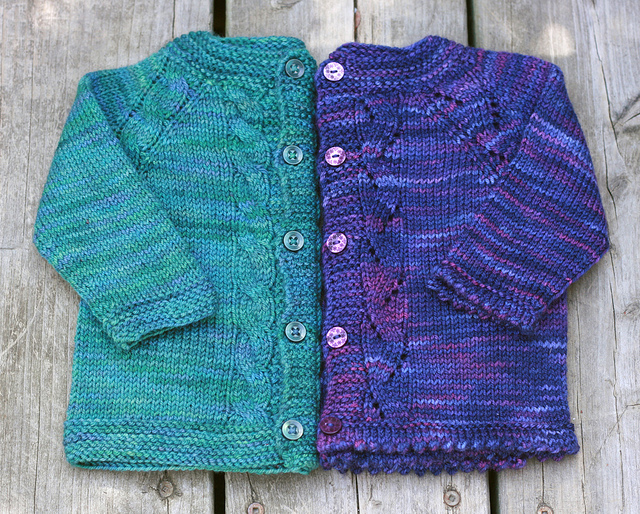 She used the Sunnyside pattern by Tanis Lavallee, which comes in two adorable versions-featuring cables and garter stitch or zig-zag lace and darling picot edging. 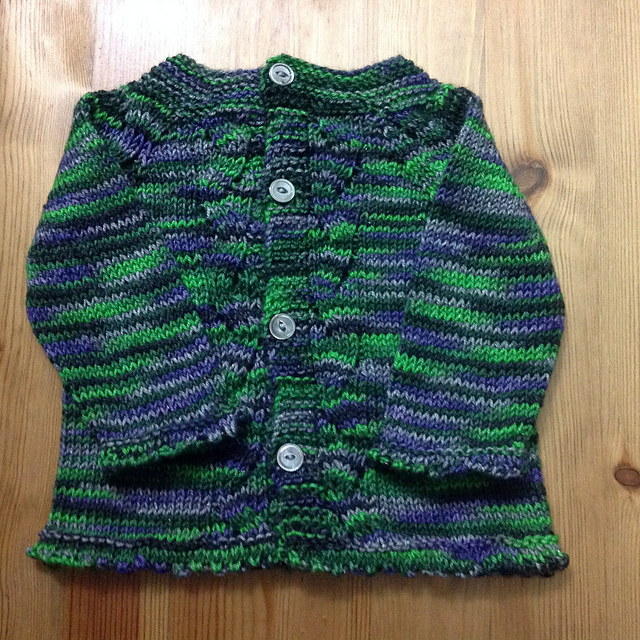 This entry was posted in About the Blog and tagged baby, call for photos, cardigan, jenny, On the needles, on your needles, sunnyside sweater, sweater, what are you knitting on October 2, 2015 by onemilljellybeans.